The Directorate of Language Communication undertakes the instruction and interdisciplinary research of languages for specific purposes (LSP) in the fields of general medicine, dentistry, pharmacy and healthcare IT as well as the examination of undergraduate students, PhD students and employees. 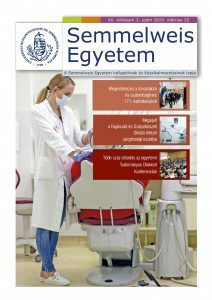 Besides teaching Latin Medical Terminology, our organizational unit offers courses in seven languages (English, German, French, Spanish, Italian, Russian and Hungarian) for medical, dental medical and pharmaceutical purposes, which is unique among Hungarian universities. The Directorate functions additionally as a language exam centre for two state-accredited language exam systems: PROFEX medical and PANNON general language exams.